Renewable energy proponents and advocates of the Keystone pipeline finally agree on something: that the right way to count “job creation” is to focus narrowly on the jobs in the industry they want to boost and ignore the overall impact on employment. Unfortunately, researchers who actually study employment are not on board. The “green jobs” movement is currently having a break out moment in California, just as the fight over Keystone is headed towards a final showdown, with proponents bellowing more about the thousands of workers who will briefly be employed building the pipeline than the dozens who will operate it. The “job creation” justification for government energy policies isn’t new, but its support among economists remains in the range of, well, zero. In the last couple weeks I’ve pinged leading macro, labor and environmental economists – many of whom have worked in the Obama administration – and got the same results that I got when I did this a few years ago: zero support for making energy policy based on job creation. The problem is that when it comes to creating or destroying jobs, counting the direct industry impact misses a big part of the picture. In non-recession economic times – like today – most of the people who take a newly “created” job are leaving an existing job. Or would have found another job. So, the direct industry impact is smaller than claimed. Then there are people who are displaced by the new jobs created – the coal miners who worked for the mine that is shut down; the workers at the incandescent light bulb plant; the fracking oil drillers in North Dakota laid off when cheaper crude from the tar sands is carried to market by the Keystone XL; or the workers who would have carried that same oil by rail if the Keystone weren’t built. Of course, many of these people too will find other jobs, but some will become unemployed. But the fundamental fallacy of counting jobs is that any government policy alters demand, supply, prices and wages throughout the entire economy. Higher energy prices cause some energy-using industries to contract, reducing employment. Higher taxes that pay for subsidizing an energy source make some companies less inclined to expand. Reports of “green job creation” or the “jobs that will be created by Keystone” are just data cherry picking, not real analysis. Most importantly, when energy policies change the economics of energy use, wages adjust – upward if there is now excess demand for labor in one sector, downward if there is weak demand in another. In the end, government energy policy is not going to noticeably change the long-run rate of unemployment. 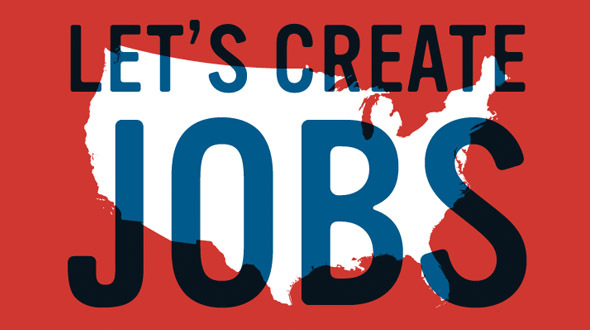 Jobs are constantly created and destroyed throughout the economy. It’s not about jobs but about good jobs at good wages. Economists long ago agreed (yes agreed! It does happen) that what drives good jobs at good wages is education and training of workers, workplace policies like minimum wage, maximum work hours, and safety, and — and this is critical — companies that put workers in a position to create a lot of economic value. That is, companies that have the capital and collective intellectual insight to create higher value products using fewer resources. During the last recession and years of high unemployment, there was an appropriate focus on short-run stimulus. (There is, in retrospect, less universal agreement among economists on how appropriate this was, though I have a hard time remembering many opponents during the darkest days at the end of 2008.) There was disagreement in energy, and in all other sectors, about exactly which investments would create jobs most quickly. But it was all about getting stimulus money out quickly and creating jobs in the plummeting economy. Practically all economists saw those as extraordinary times that called for extraordinary response. When the economy is no longer in a state of severe underutilized capacity, the stimulus justification fades. We may not be back to full employment, but long before we get there, government policies to create jobs end up mostly crowding out other jobs that create as much or more economic value. If you are talking about a program that would take years to roll out and longer to deliver any real impact, recession-based policies are irrelevant. You can’t forecast the next recession and most of the time, the economy is growing. So, let’s consider the long-term job creation arguments for energy policy. First, there is the simplistic view that some forms of energy are more labor intensive and therefore create more jobs. That would be great if they weren’t also more expensive. But higher costs signal that more of society’s resources go into each unit of energy, which is destroying economic value. Those higher costs ripple through all the energy-using industries, destroying jobs. That ripple effect is much harder to measure than the direct count of jobs in the industry (and would not give the desired answer), so many advocates simply ignore them. There is also a more dynamic argument, often made for renewable energy, that one state or country can gain a long-run economic advantage by investing in the next breakthrough technology. Sometimes the proponent argues that clean energy is obviously a growth industry and if our city/state/country gets out ahead of others – and of private investors – we’ll be in great shape when the boom arrives. But it’s tough to see how government policy makers will have a better shot generally at identifying emerging business opportunities than the private sector. And the opportunity is ever present for using such investments to reward political supporters, or enrich one’s self, or just pursue an energy agenda the politician is confident is right in spite of all the contrary evidence. The more thoughtful version of the argument is that up-front investments will create agglomeration economies (also known as “network externalities”) that will lock in a location as the hub of the industry, the “next Silicon Valley” argument. While this story makes a bit more economic sense in theory, it fails in practice. In his excellent 2012 book, The New Geography of Jobs, my Berkeley colleague Enrico Moretti spells out the theory and evidence for agglomeration economies. And then in considering locales that strategically decide to become the next technology or manufacturing hub he says “..[T]he track record on industrial public subsidies in the United States and Europe is not great. It is simply too difficult for policymakers, even the brightest and best-intentioned ones, to identify winning industries before they become winners.” Indeed. And how about the not-so-bright and not-so-well-intentioned ones. In an idealized setting, this could work, but in the real world it is much more likely to destroy economic value than to create it. None of this suggests that government energy policy is unnecessary. Serious negative environmental effects point to a significant role for regulation and pricing the externalities. The need for new technologies calls for aggressively supporting R&D, where subsidizing the creation of knowledge spillovers is likely to create net benefits. But job creation shouldn’t be on the list of considerations when policymakers debate energy policy – whether it’s building the Keystone XL or subsidizing renewable electricity. Yes you can find an economist who supports long-term policies to create energy jobs, green or brown. You can also find a scientist who thinks there is no human impact on the climate, or a doctor who doesn’t think children should be vaccinated. But that’s not where 95%+ of the people in these professions come out. The editors of MIT Technology Review chimed in with the same message in an open letter to President Obama two years ago. There is a wonkier discussion of energy jobs creation in my 2012 Journal of Economic Perspectives paper, “The Private and Public Economics of Renewable Electricity Generation,” which the American Economics Association makes available free here. Previous Previous post: How (and who) will pay for our energy infrastructure? Reblogged this on Energy post. “Good wages” as a function of the minimum wage? Yes, that is where I got lost as well. It’s a shame to read this (quoted below), because it distracts from the very well argued and important main idea. There is probably near-consensus about the strong positive impact on human capital, but the effects of labor market controls are certainly contested with mixed empirical findings at the margins. I would hazard a guess that beyond the margins, most economists would likely agree that large, generalized (i.e. not targeted to correcting specific externalities) increases in labor market controls would decrease long run employment. This article makes some great points but goes too far in dismissing the labor market implications of energy/env. policy for my taste. It is true that jobs gained (lost) in an industry is a poor metric by which to evaluate a policy. That does not mean that we should ignore the labor market impacts of these policies altogether. 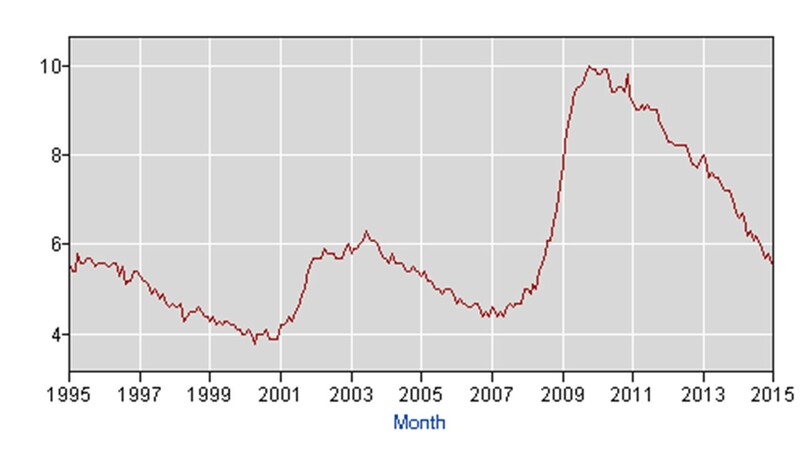 Energy/Environ policies have important short and medium term labor market implications regardless of whether the economy is in recession. For example, workers can experience significant transitional costs when their plants are hit by environment regulation. If regulation results in a 45 year old worker losing their job and remaining unemployed for 20 years that has a real cost to society. Likewise, If green energy jobs are filled by someone who would have been unemployed or under-employed then they can have real benefits. Yes, it’s relatively easy for a young, educated worker to transition from one job to another during good economic times, but this is not the labor market that most workers face. What about the coal miner with whose family has lived in West Virginia for generations? He’s he has few outside job options and he is unlikely to move away. A change in his job status will have important ramifications that policy makers should consider when designing policy. @Mark — you need to decide if the *policy* is aimed at energy/env or at 45 year old workers. I think it’s easier to focus on the policy when it comes to energy and the people when it comes to welfare, retraining, etc. Don’t defend jobs. Defend people. Policies, regardless of who they are aimed at, should be judged according to their net benefits. My point is that job losses and gains often represent important costs and benefits to workers, their families and society. Research has found significant costs associated with job displacement. I’d like to see more research on the benefits of job gains, but I don’t think it’s a stretch to say that benefits could exist if jobs went to certain types of people. There is also more evidence for “virtuous networks” than this article lets on. Greenstone, Hornbeck and Moretti find evidence for these types of productivity spillovers in manufacturing and a recent working paper by Bollinger and Gillingham that finds significant learning by doing resulting from solar panel subsidies. In the jobs shuffle, there will be winners and losers, and while the focus on job creation is flawed for the reasons you mention, job quality, access to jobs, location of jobs, etc. are important considerations in the policy debate. I think the point is not that jobs have no place in the design of energy policy, but that we should shift from talking about number of jobs created to job quality, location, and access– with a focus on wages, upward mobility, career training, etc. To provide an example, distributed (rooftop) solar does create more jobs than utility-scale generation in CA, but it is both more expensive (per kWh) and the quality (wages, access to training, etc.) of those jobs are worse than large-scale generation projects in California, which are mostly built with union labor. Focusing on job quality rather than job numbers can help policy makers design energy policy with greatest total value to society. Dr. Borenstein, this post is a gem. Thank you. I have one set of questions. You spend a fair amount of time discussing the reasons for short term economic stimulus, but I am not convinced of your premise that we are out of “bad” economic times, worldwide. The Eurozone isn’t performing well for various reasons. However, even if we were performing well worldwide, I would question the value of energy jobs as effective short term stimulus. I realize that’s a point of debate. For instance, a massive build of a pipeline that created 30,000 temporary construction jobs and created long term economic value because of the energy infrastructure improvements might make sense as a stimulus move. If it actually destroyed long term value, as many energy projects do, then the case to stimulate is more nuanced. Stable energy supplies are one of two or three keys to any economic development. A labor force and other infrastructure is crucial, too, of course, but we still need to build out the energy infrastructure that allows us to survive on this planet. I’m not sure how to say that so it gets in the budget. I appreciate you posting this clarifying essay. I completely agree with the sentiment, but most Americans have no grasp of economic tradeoffs. The environment is at the bottom of priorities and “jobs” are at the top. Can any economist convince any politician that job-creation should not be the primary goal of policies? It seems that the Keystone debate has shown that both sides of the political aisle (as well as industry and environmental groups) will do anything to convince people that they will create the most jobs.